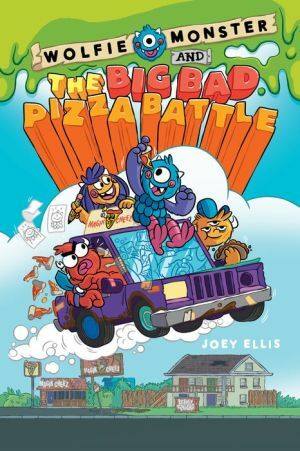 Monster brothers Wolfie, Jackson, and Roy are in for some serious competition when the gigantic corporation, Happy Leaf, moves into their hometown of Oak Hollow and wants to buy their pizza parlor. But not all is on the up-and-up when they discover the villainous CEO, Lord Mudpant, wants to turn the townspeople into zombies. Can the boys set aside their squabbles long enough to thwart Mudpant's nefarious plans? !